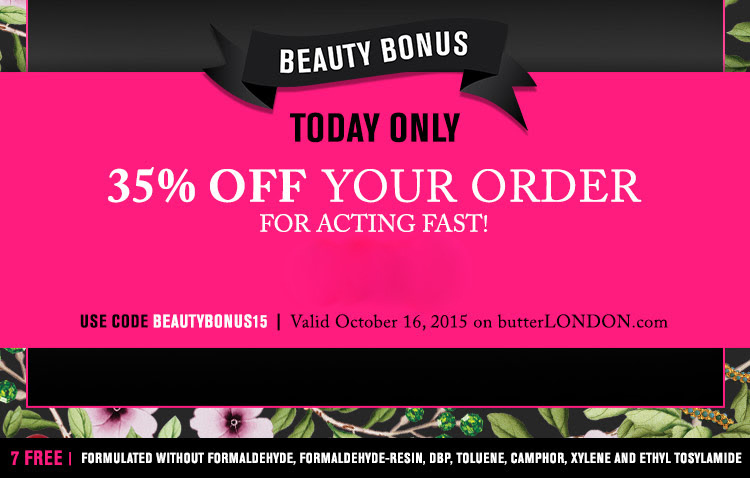 Ria Loves Pawlish: Sale Alert :: Butter London Friends & Family! i wasn't planning to do this post today, but i had to let you guys know! 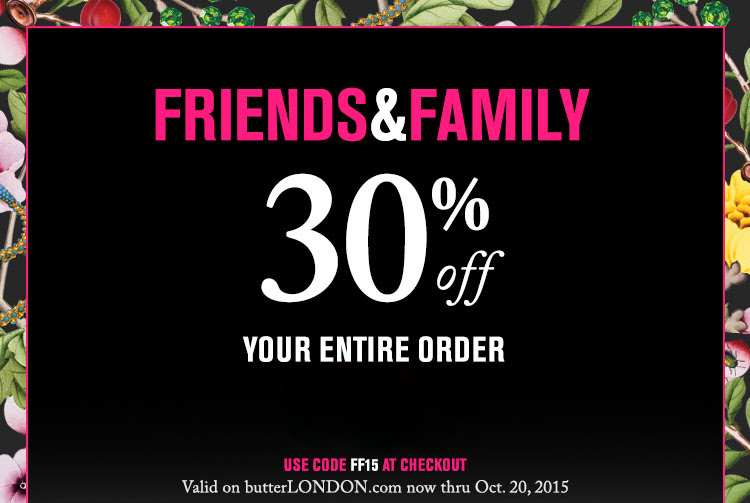 Butter London is having their Friends & Family sale which gives you 30% off your purchase, use the code FF15... it runs through October 20, 2015.
and if you check out today, there is a different code for 35% off. 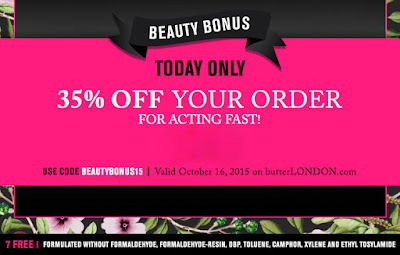 BEAUTYBONUS15 expires today, so you'll have to act fast on that one! sorry i didn't get this post up earlier :( as usual, with any order over $50 you get free shipping! if you need some ideas on what to buy, search Butter London in the top left corner of the blog... i love pretty much everything from this brand. i'm not a huge fan of the mascara, but the mascara PRIMER is AMAZING!